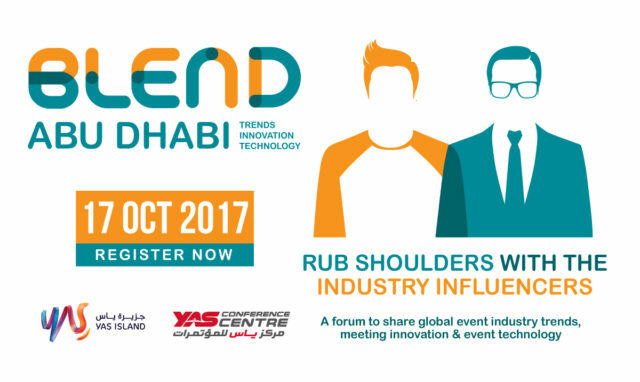 Join me at Blend Abu Dhabi on October 17! 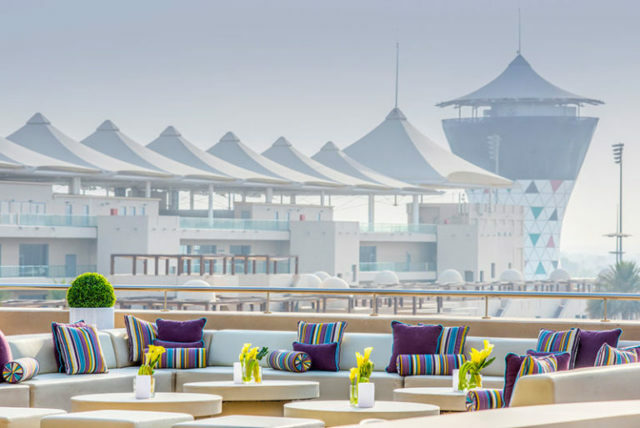 I’m honored and excited to be presenting at Blend Abu Dhabi, a free one day conference for event professionals on global event industry trends, meeting innovation, and event technology at the new Yas Conference Centre, Yas Marina Circuit, Abu Dhabi. Also presenting are industry luminaries Julius Solaris, the editor of Event Manager Blog the number one blog worldwide for event professionals, and Shawna Suckow, The Buyer Insider, a leading expert on buyer behavior. Here are descriptions of my workshop and presentation. 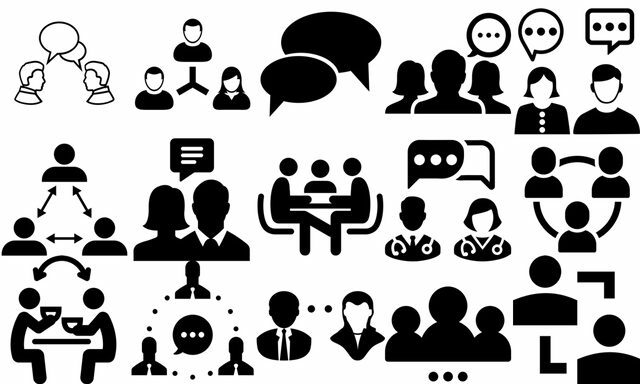 How can you make your conferences highly relevant, important, and useful to your attendees? Every conference attendee arrives with unique wants and needs. They may be facing specific professional challenges or want to learn more about certain topics or issues. Many will want to connect with others who share their interests or who could benefit from their expertise and experience. 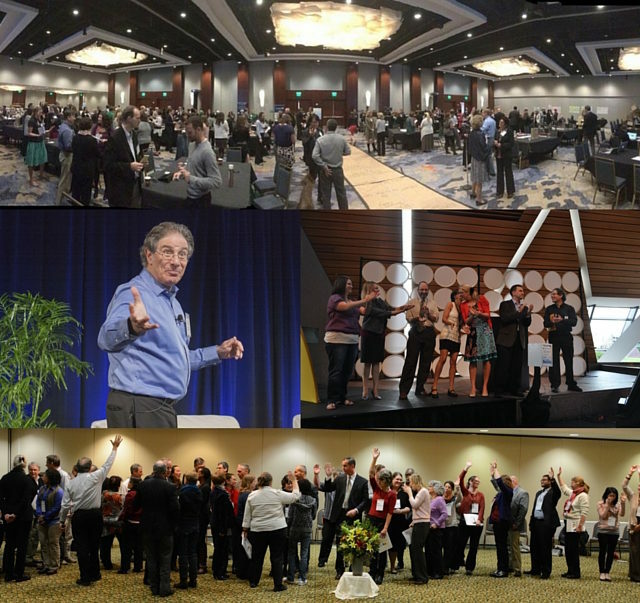 Unfortunately, conventional fixed-content conference programs rarely provide the level of truly effective learning and connection that is possible. 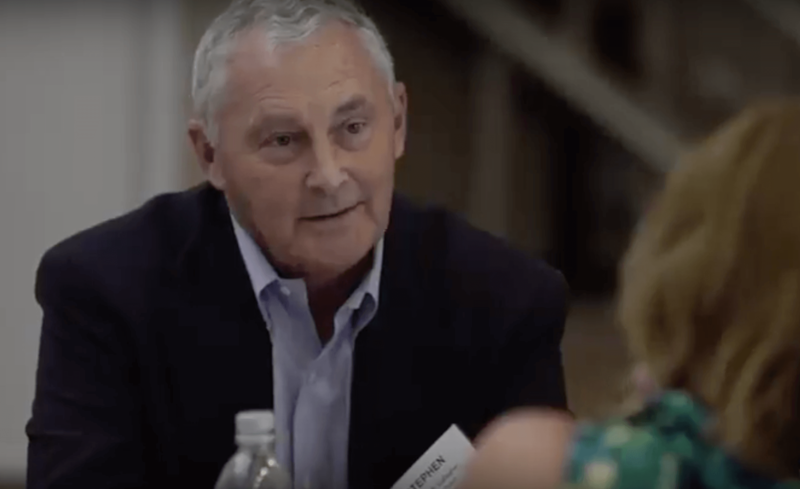 We’ve known for twenty-five years how to design conferences that provide superior learning, connections, and outcomes. Unfortunately, centuries of exposure to old-school conference culture focused on pre-determined lectures by experts makes it difficult for event planners and stakeholders to adopt proven participant-driven and participation-rich approaches for improving their meetings. In this short workshop, you’ll experience some of the simple yet potent core techniques you can use at the start of your conferences to uncover and facilitate the connection, learning, and outcomes your attendees actually want and need. You’ll learn, share, and connect with other session participants in ways that are relevant to your wants and needs without the use of artificial “ice-breakers” or high-tech. You’ll leave with key understandings and the motivation to incorporate participant-driven and participation-rich design elements into your meetings. As meeting professionals, it’s easy for us to zero in on the extensive logistical requirements of any modern conference — that’s what we do! Unfortunately we invariably take for granted the traditional conference format we’ve experienced our entire lives. You know what I’m talking about: conferences where a few experts share content to an audience of passive listeners, and connections between participants are expected to occur outside the sessions during breaks, meals, and socials. Well, today there’s a significantly better approach to conference design. An approach that creates and supports more effective active learning, more useful connections, greater engagement, and better action outcomes. We now possess the tools to make fundamental meeting improvement happen! This presentation (which includes some experiential learning) will introduce you to the global business and meeting industry trends that are making participant-driven and participation-rich formats increasingly crucial requirements if you want to keep your face-to-face events healthy, growing, and relevant in today’s world. We’ll also cover the basic components of participant-driven and participation-rich conference designs that will deliver improved learning, connection, engagement, and action outcomes to your attendees and stakeholders. 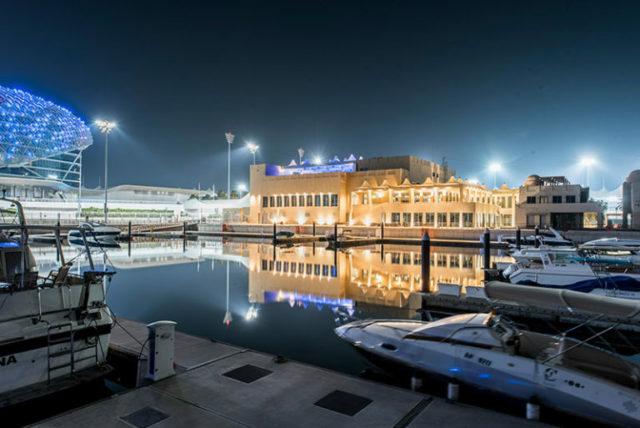 I’m looking forward to experiencing the Yas Conference Centre (Abu Dhabi’s newest venue), meeting regional event professionals, and exploring the United Arab Emirates. I hope to see you there! Most people won’t ask questions at meetings. So how can you get authentic audience engagement at your events? I’ve found that lack of audience engagement is due to the generally poor process used during most meeting sessions. Last Wednesday I led a two-hour workshop in Boston for 160 members of a national education association. Every participant was active during ~80% of the workshop: discovering the concerns and experience of other participants, moving around the room while forming human spectrograms to learn about each other and the group (I used three participant-created chair sets during the session) and learning and connecting around issues and topics relevant to them throughout. The hardest task of the workshop was getting people to stop talking with each other so we could move to the next part! Pádraic suggests that hi-tech polling methods can be used to increase engagement. I agree that such technology can help engagement, but it’s not necessary. During my workshop, I showed 12 slides, but would have been fine without them. Other technology I used included 5″x8″ cards, pens, and large post-it notes. No high tech was needed with one optional exception — we projected a Google Doc at the end, to capture and display all the group feedback during the closing public workshop evaluation. In 25 years of experience, I’ve found that most people have a fundamental need and desire to connect with others with whom they share something in common. When you use good group process to safely facilitate appropriate connection, ~98% embrace the opportunity and learn, connect, and engage effectively with their peers. Anonymity, if needed, can be readily supplied by no-tech/low-tech process, but it turns out that it’s needed a lot less than people think. Every person in the workshop received a copy of my book The Power of Participation, which explains why participant-driven and participation-rich sessions are so important, how to create an environment for this kind of learning, connection, engagement, and resulting action, and how and when to use a large organized compendium of appropriate process tools. The participants I spoke with after the workshop told me how excited they were: planning to read the book and start putting what they had experienced into improving their professional development work in education. It’s possible to create amazing learning and connection though approaches I’ve outlined above. When I facilitate longer conferences I can assure you that almost everyone will ask questions in public at some point during the event. If you aren’t getting excellent audience engagement, don’t blame the audience! Change the processes you use in your sessions, and engagement will be guaranteed! You can experience how to use process tools to significantly improve the effectiveness of your sessions and events at one of my 1½-day workshops in North America and Europe. If you can’t participate in a workshop, buy a copy of The Power of Participation to learn the why, what, and how of building better learning, connection, engagement, and action outcomes into your events. I was facilitating a one-day workshop for 24 college presidents. At the start, we agreed to follow six covenants, including the freedom to ask questions at any time, and a commitment to stay on schedule. Our program was tight and college presidents are not known for their brevity, and I was feeling somewhat apprehensive about the group’s ability to honor the latter covenant. Everyone laughed. My self-contradiction was funny—in the same way that seeing someone slipping on a banana peel is funny. Q then asked his question anyway, which was the right thing to do. Why? Because both the question and the answer that followed were brief, and then we were on our way again. It was a challenge, but with the participants’ help we stayed on schedule for the rest of the day. A preoccupation with a long-term process goal (keeping a program on schedule) can lead me to try to block a short-term need (getting a question answered). Participants who respect the covenants we’re using (Q saw a contradiction and rightly asked me what was appropriate for him to do) can be trusted to do the right thing. I suspect it’s impossible to have a set of covenants that won’t occasionally clash—and I think that’s actually a good thing. A Taoist might say that tension between opposites illuminates the underlying core. In this example, I was attempting to balance the success of the overall experience with the needs of the moment. There’s no “right” answer; after all, too many delaying questions could have significantly disrupted the workshop flow and reduced the value of our time together. Awareness of the potential contradictions helped me to focus on a key aspect of the day’s work. Noticing and responding as best one can to such tensions is necessary and valuable in the moment of facilitation. And, as a bonus, sometimes the outcome is amusing too. This 3-minute video explains why registering for one of my upcoming participation techniques workshops could be the best career decision you’ll make this year. You’ll save $100 when you sign up for my Chicago workshop by September 9th, earn 16.00 CE hours, and — most important — learn how to significantly increase attendee satisfaction at your events. Please share this post with your colleagues too! Thanks! Stay informed about future workshops or help Adrian hold one! Can’t make it to the Chicago workshop but want to be informed about future workshops? Interested in partnering with Adrian to hold a workshop in your location? Just complete the form below! Any information collected will be kept strictly confidential and will not be sold, rented, loaned, or otherwise disclosed. Successful event professionals learn the importance of this golden rule early! Another way to think about and practice this rule is the ask, tell, ask formulation. Player 1: Been waiting long? Each player had the option to choose their original status and then work to raise or lower their own or the other player’s status. Status is affected by qualities of body stance, control of space, speech, and interaction, and it’s something that I would like to be more aware of in my life. As a facilitator, I typically work to equalize status with people with whom I’m working, but, programmed by my upbringing, I also have a tendency on meeting new people to default to lower status until I know them better. Improv status work helps me become more aware of such proclivities. 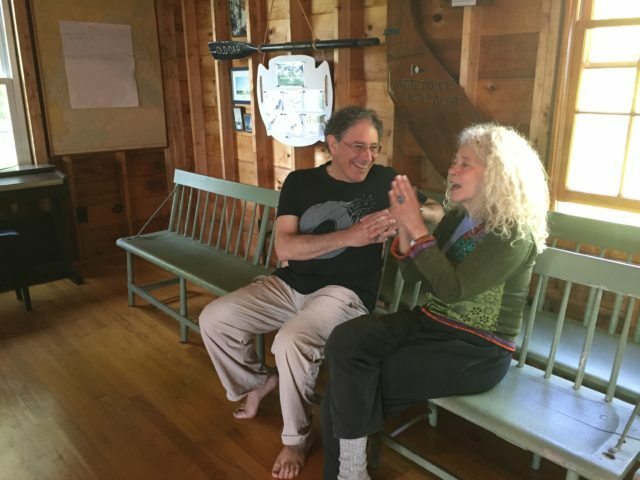 Ted also introduced us to Patsy Rotenburg’s Second Circle model of communication and connection, which maps in many ways onto improv status work. Worth checking out! If you’ve read my books or this blog you know that I am a proponent of replacing traditional preordained status at events with a peer model where individual status can and does change moment to moment. Such participant-driven and participation-rich events provide a fluid-status environment that supports leaders and experts appearing and contributing when appropriate and needed. One of the most wonderful things about improv is the opportunities it gives us to experience what can happen when we build something together with others, something that is a true joint creation that would have been different if any one of its creators had not been present. 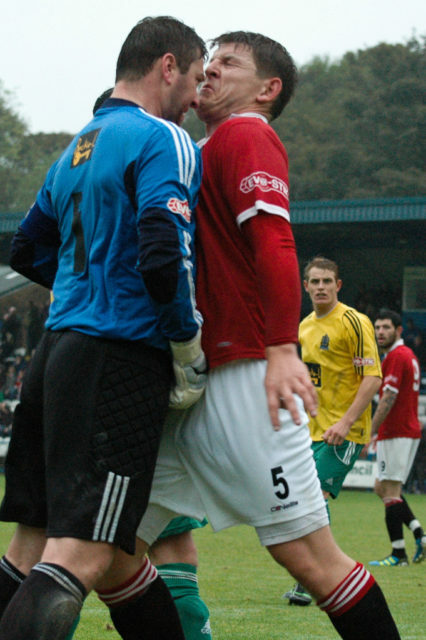 Improv games provide an environment of mutual support, where players add to what’s currently been created. The addition can be of more detail or deeper focus on some aspect, but the whole glorious edifice only increases in size and complexity over time. Many improv games provide this experience. One that we enjoyed a lot was three-words-at-a-time poems. We wrote group poems, our only instruction being to read what we received and add to it in a way that seemed true to what had already been written. Sitting in a circle, equipped with a piece of paper and pen, each of us wrote the first three words of a poem and then passed our paper to the next person in the circle who wrote three more words and passed the paper on again. Our papers circulated twice around the circle, with the starter of each poem contributing the last three words. The cold lasagna sat on the white stool. The guests departed, deflated, never to return to my sugarless, soulless party. I think the most satisfactory experiences I have designing, producing, and facilitating events occur when every person involved in the event contributes creatively to making the event what it becomes. It feels darn good to be part of something wonderful that an entire group of people made possible through their individual work. Our five days together passed swiftly. Throughout our time together we had moments of play, joy, seriousness, sadness, intimacy, fun, learning, and much laughter. 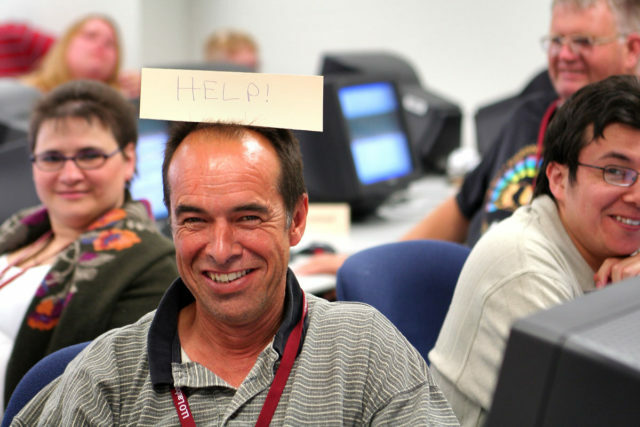 I love workshops like this, because they offer and support a unique experience for each participant—prescribed learning objectives are refreshingly absent, though I am sure that each person (including Ted and Lisa) took away something personally meaningful, valuable, and probably important. 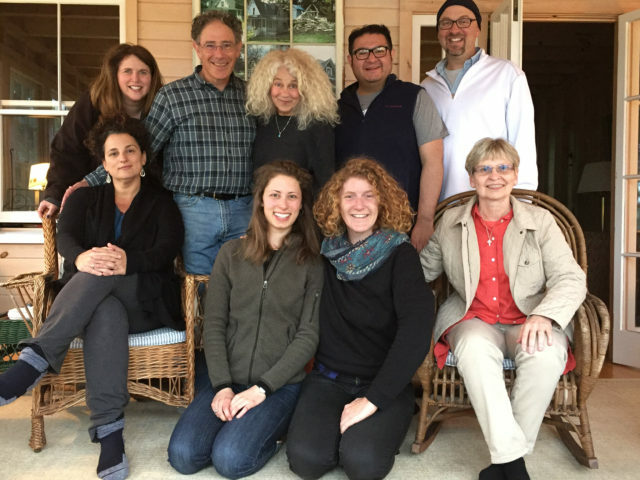 I have only covered some of what I experienced and enjoyed, and recommend Ted and Lisa’s skillful, supportive, and empathetic workshops to anyone who wants to explore the wonders of improv and mindfulness in a community of not-long-to-be-strangers. I plan to be back next year; please join me! You had to be there. 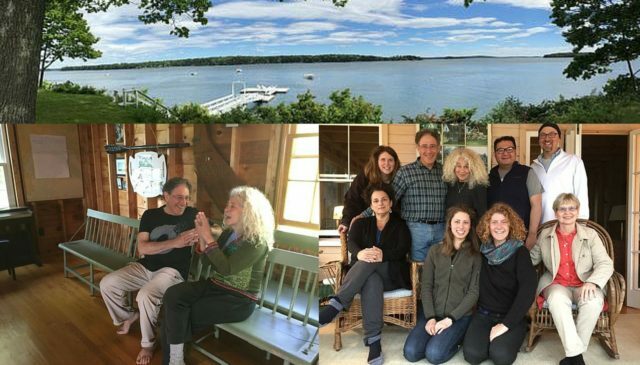 In this case, “there” was a wonderful five-day improv and mindfulness workshop Mindful Play, Playful Mind, held June 8-13 2016, at Mere Point on the beautiful Maine coast. In this two-part article I’ll share a little of my experience and takeaways, followed by their relevance to event design (red). Although most people think of improv as a form of entertainment, I am fascinated by my experiences of improv as a tool for better living. As Patricia Ryan Madson, a teacher of both workshop leaders, says: “Life is an improvisation.” In addition, I’ve been working for over 40 years (with erratic focus and success) on practicing mindfulness in my daily life. So, when I heard in 2015 that Ted DesMaisons and Lisa Rowland, with whom I’d spent three days at a 2012 beginner’s improv workshop in San Francisco, were offering a workshop on improv and mindfulness, I badly wanted to go. Although that opportunity had to be passed up—PCMA made me an offer I couldn’t refuse: facilitating the 2015 PCMA Education Conference—I made it to the 2016 workshop. I became interested in improv after short experiences in various workshops during the last 15 years. After a three-day introductory workshop at BATS, I attended two four-day Applied Improvisation Network World Conferences (San Francisco 2012 and Montreal 2015). In Lessons From Improv, and other posts I’ve shared how improv shines a powerful light on core practices that improve events. Saying Yes to offers can allow amazing things to happen at conferences, Being Average improves our creativity by focusing on the possibilities inside the box, and Waking Up to the Gifts makes the importance of public and specific appreciations at events obvious. Looking back, I’ve only one post about mindfulness. Not because it’s less important, but because I find mindfulness hard to write about. One of the key gifts I received from the workshop was the gift of practice of improv and mindfulness. The principles of improv, though easy to grasp, require practice to master. I’m far from mastery. The first time I worked with a fellow participant in a simple game, Ted and Lisa gently pointed out that I blocked her first two offers (saying essentially “no, not that” to what she had suggested about my character and motivations). I noticed that I sometimes say “no” to perfectly appropriate ideas. Improv doesn’t mean accepting anything anyone says to you; rather it is a way to expand a world of possibilities that one might otherwise reject. Practicing saying “yes” over our five days together helped me be more open to saying it in my life. Each morning, Ted led us thought an hour of movement and meditation. During the last ten years, I have had a rather, well let’s just say, sporadic mindfulness practice, consisting of yoga several times a week and meditating whenever I feel moved to do so. On the fourth morning of the workshop, I was so aware of the benefits of daily practice, I determined to start each day henceforth with yoga and meditation. This decision was a surprise to me, and may well turn out to be the most significant change in my life that I’ll directly ascribe to this workshop. We’ll see. After we have grasped the basics of event design, mindful practice is how we improve: better at noticing what happens and learning from it, more focused on the present, and less distracted by our ego. Improv practice increases our creativity in dealing with the unexpected (turning broken eggs into omelets), makes accepting offers (of assistance and opportunities) easier, and helps us to work better with and support collaborators. It was a surprise to me to find during the workshop that I still short-change appreciations from others. I was taught at an early age to feel embarrassed by compliments, applause, or thanks, and, though I’m better able to accept these things nowadays, I still feel a certain reticence at accepting these positive affirmations. Providing private and public appreciations to those who make our events possible is incredibly important. Accepting such appreciations as offers of love, connection, and support is equally important. Although I had previously spent time with workshop leaders Ted & Lisa, I had never met my fellow participants before. All nine of us spent five days living, playing, and working together. We stayed in an old family home overlooking a stunning Maine estuary, and ate meals together. One afternoon we hiked together over Morse Mountain to Seawall Beach. Our workshop was held either outside or in the Mere Point Yacht Club next-door . By the end of our time together, I got to know Ellen, Nancy, Nahin, Ellena, Wendy, and Everlyn better in some ways than our Vermont neighbors (and friends), with whom we’ve shared a driveway for over thirty years. The improv and mindfulness exercises we experienced together allowed us to help each other learn and grow, in ways that we will likely never fully know. Well-designed events can change peoples’ lives through the connections we make during them and the learning and changes that result. What an amazing responsibility and opportunity we have! There’s more! Read Part 2! New Participation Techniques Workshops are coming! I’m really happy to announce that I am now planning to hold extended Participation Techniques Workshops in the United States, Canada, and Europe. Thank you! Asking for your help to get my participation techniques workshops underway was clearly the right thing to do! Within a week I had been contacted by numerous friends and colleagues, and found several partners who were a wonderful fit. Full details can be found on my new Participation Techniques Workshops page. Learn who can benefit from these workshops, why you should attend, read testimonials from past workshops, browse the syllabus, and review the list of upcoming workshops. Interested? Then sign up to be informed about current and future workshops and/or contact me to discuss how we can partner to make a workshop happen near you. In American schools, the first experience of public speaking is typically Show and Tell. 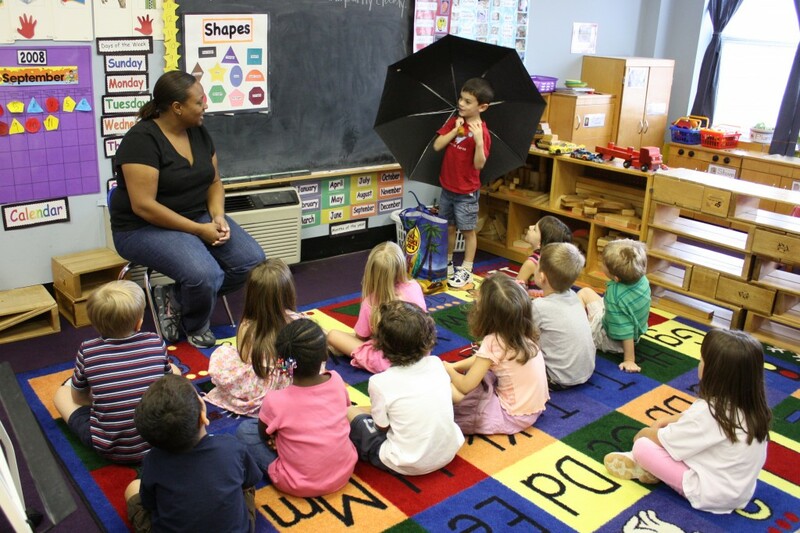 A child stands in front of the room with something brought from home and tells their classmates about it. The child gains experience and confidence in addressing a group, and provides entertainment to the classroom audience. Everyone quickly forgets the details of the monster truck except the presenter. 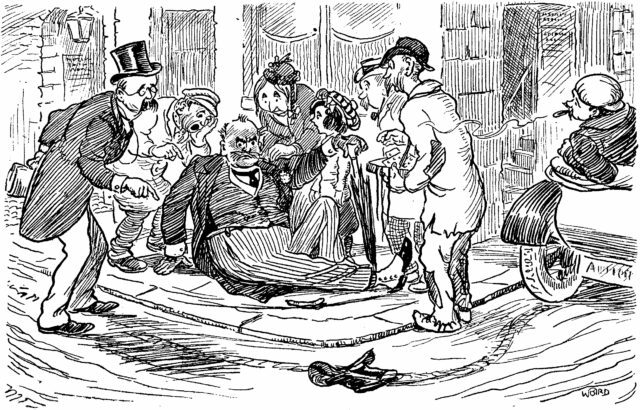 Many conference sessions follow this same format. A presenter imparts information by showing and telling to an audience. A “good” presenter may entertain people, but research shows that much of what is learned during the session is quickly forgotten. So, how can we learn better? It turns out that the more multi-sensory our environment becomes the more our ability to learn improves. This requires us to become active participants in our learning. If the child passes round the monster truck for other children to touch and explore, their memory of it will be more accurate, more detailed, and longer lasting. If everyone gets to play with the truck for a while, they will learn even more. We can improve the learning in our conference sessions in a similar way. If adults are to effectively learn new ideas—and this doesn’t just include rote learning but also understanding the ideas—they need to actively discuss the ideas and answer questions about them. When two people discuss a topic, research indicates that the current speaker makes the greatest cognitive gains. This occurs because 1) speaking provides the opportunity for tacit knowledge to become conscious; and 2) articulating ideas activates more of the brain than listening. One simple technique to create active discussion at a conference session is pair-share. When pair-share is happening, half the audience is explaining their ideas to the other half. As each speaker and listener swap roles, everyone in the room gets to actively process the session’s content. This is far superior to the typical question and answer session at the end of a presentation, which provides little or no opportunity for most of the audience to take part. Another example is LEGO® SERIOUS PLAY®, a method for getting people to “think through their fingers”. This tactile interactive process uses working with Lego® to quickly move small groups of people into sharing and learning through creative problem solving. A final example: my favorite conference sessions to facilitate are experiential workshops that involve participants working together throughout, experiencing new techniques or solving problems as a group rather than as individuals. The high level of activity provides a fertile environment for learning through doing, rather than by listening or watching. All other things being equal, when we do, we learn better than when we’re shown or told. If you want your attendees to learn more effectively, you’ll need to incorporate more “doing” into your conference sessions. My next book includes a large number of participatory techniques that you can use to maximize learning, connection, engagement, and community building at any event. Sign up to be informed when it’s published!